My note of 14th October advised that I had been able to negotiate very favourable prices with our clothing supplier, as well as a wider range of products. I gave the maximum price for each garment, but advised that the I might well be able to offer cheaper prices if good orders were obtained. I have obtained samples of various products, and everyone who has seen them has agreed that the quality is excellent; the winter jerseys and winter bibtights are particularly good. In the case of these two particular products, if I receive 2 more orders for each, then the price will drop further. 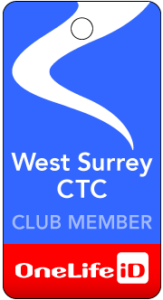 I would remind you that in order to encourage club identity the committee have agreed to provide some subsidy from club funds. These, together with the discounts that I have obtained from the supplier, make these products, in my opinion, truly excellent value. I have extended the date for final orders, so if you now wish to place an order, please do so by Sunday 8th November by the latest. Please e-mail me, quoting precise product and size (I certainly recommend that you look at the Owayo website first, https://www.owayo.co.uk/cycling.htm, for sizing and full product spec).